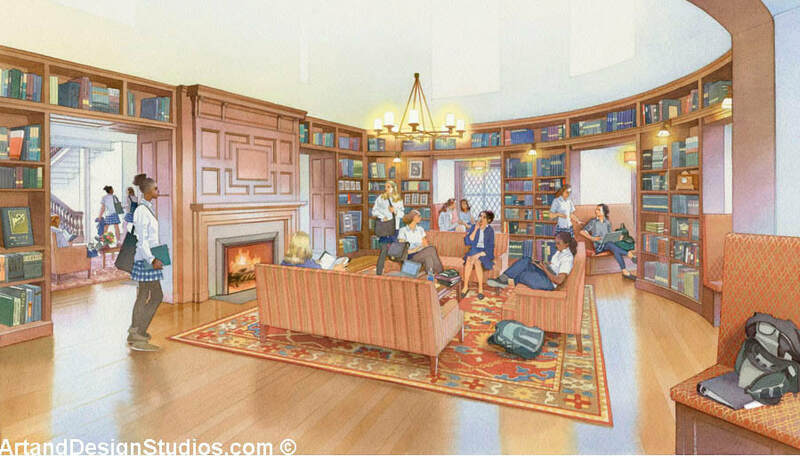 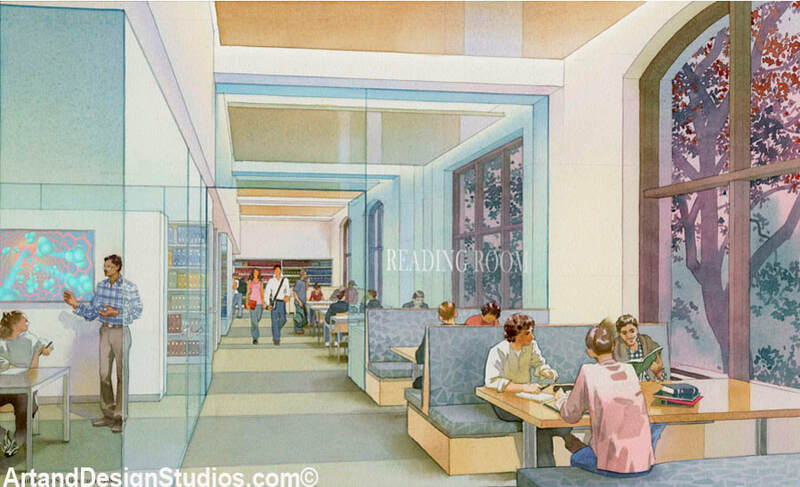 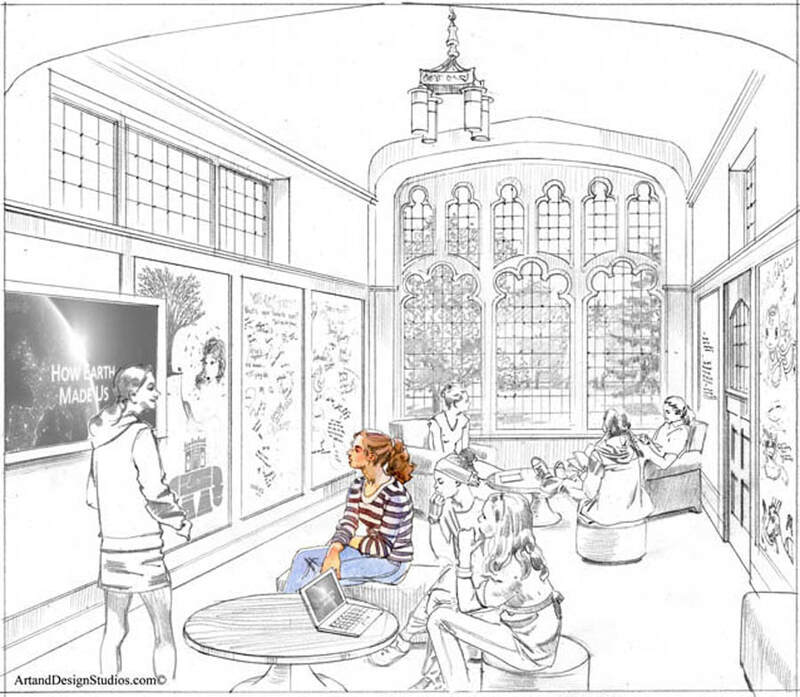 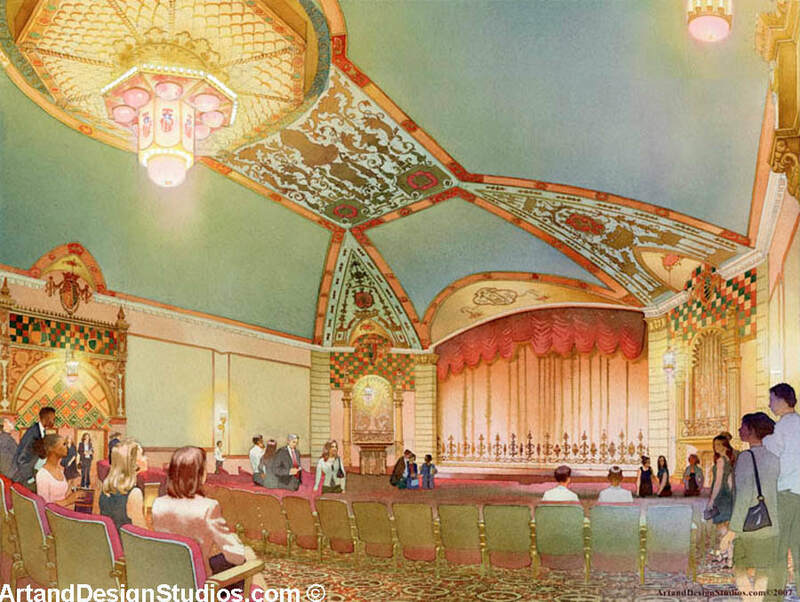 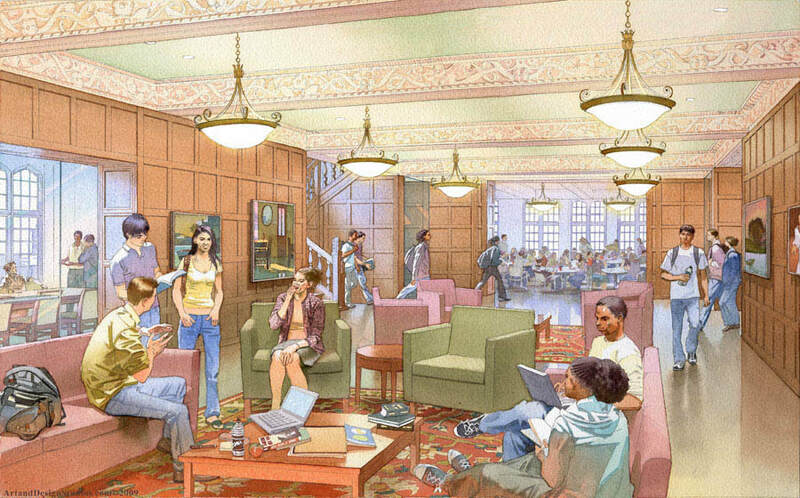 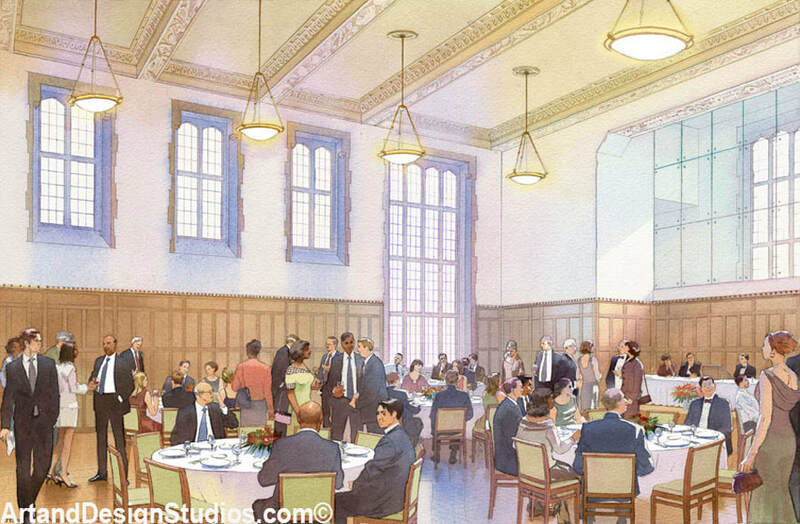 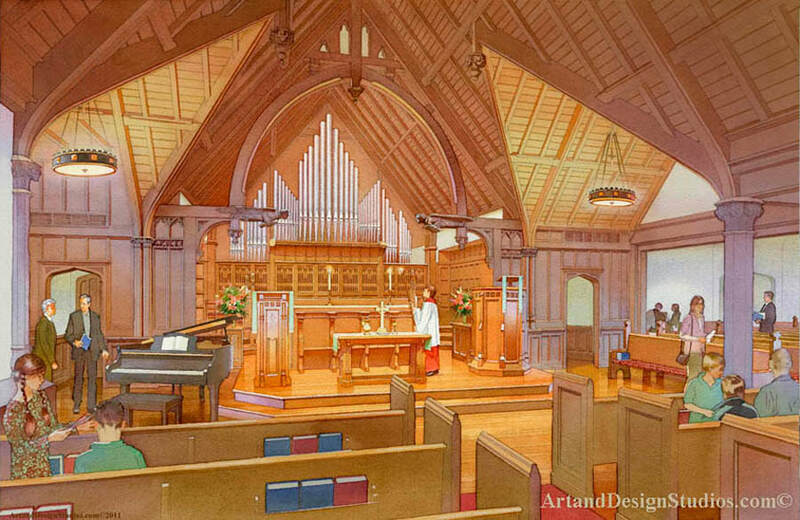 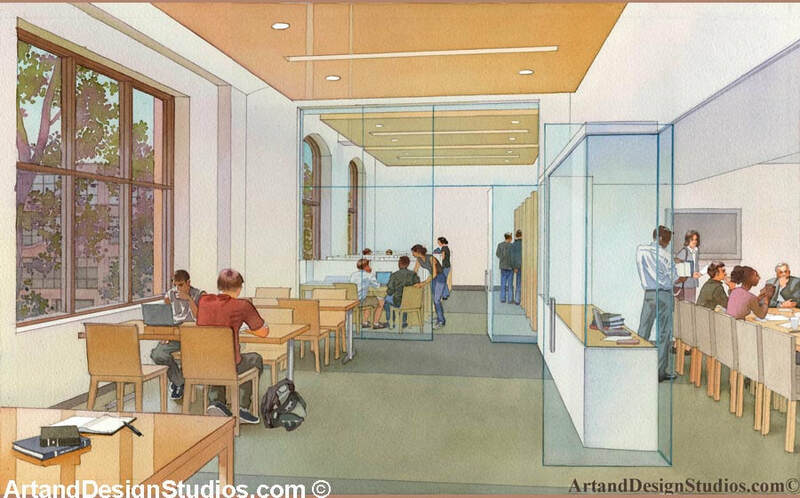 Rendering of adaptive reuse project: University of Pennsylvania Arch Building student lounge. 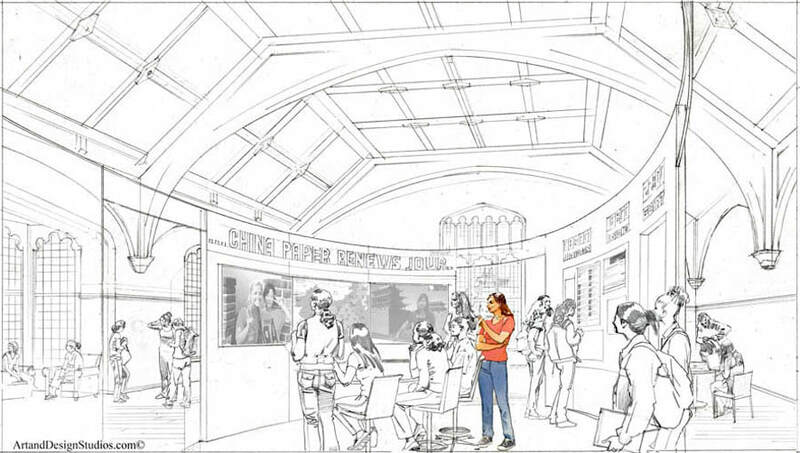 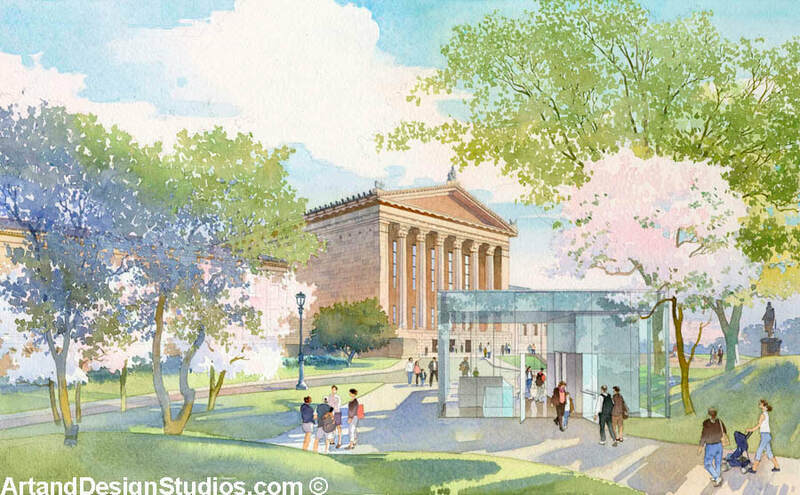 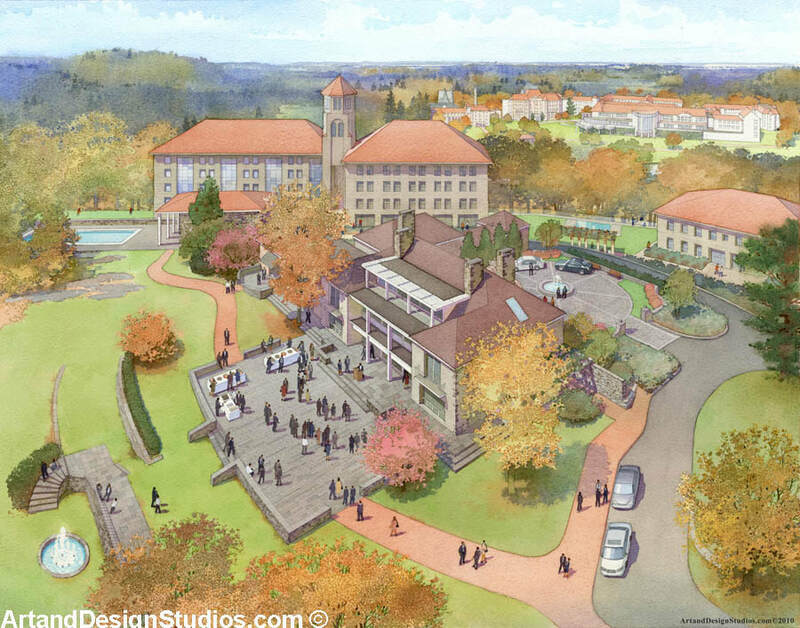 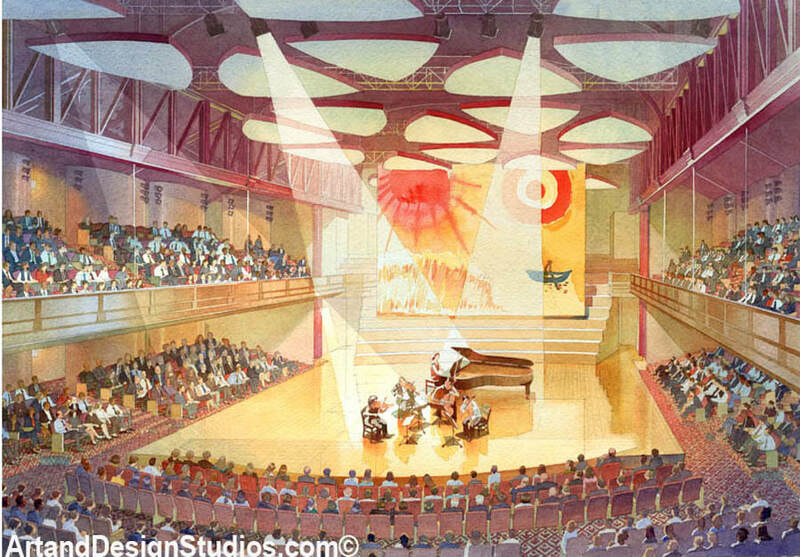 Rendering of adaptive reuse project: student center at the University of Pennsylvania Arch Building. 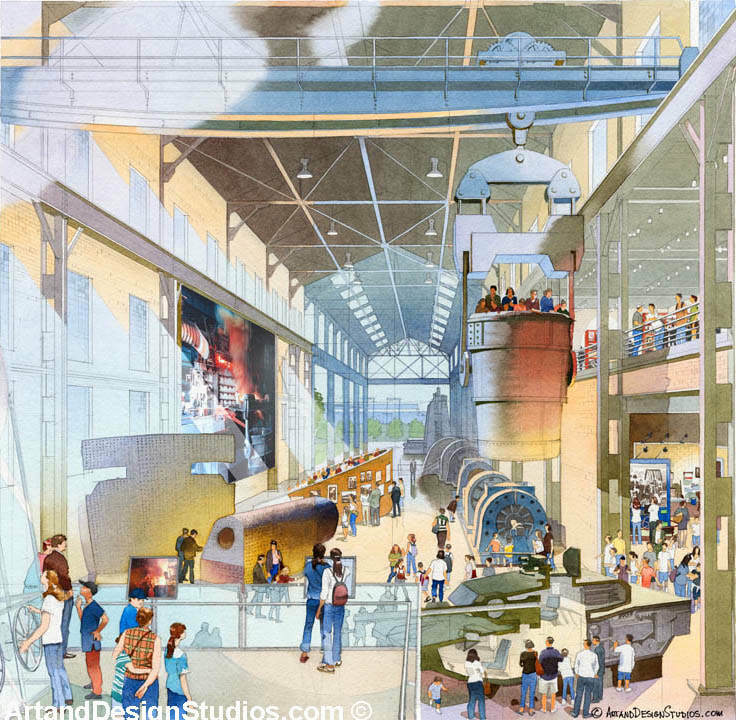 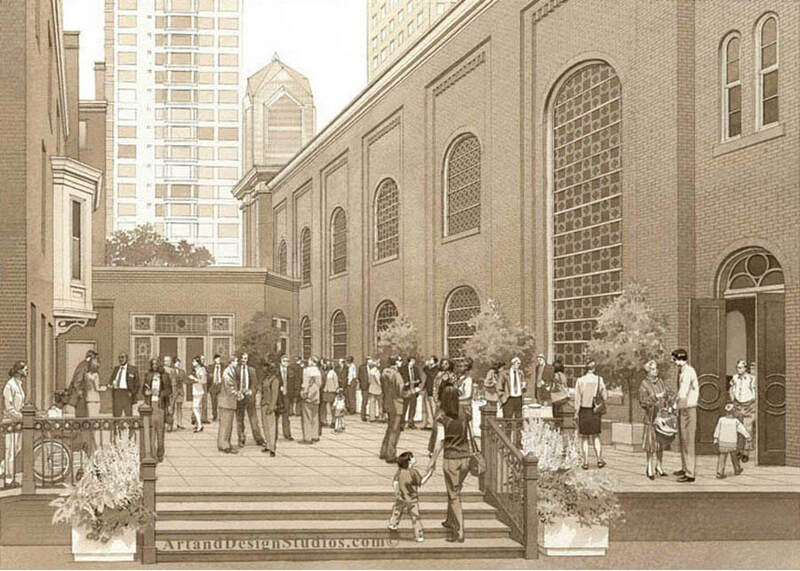 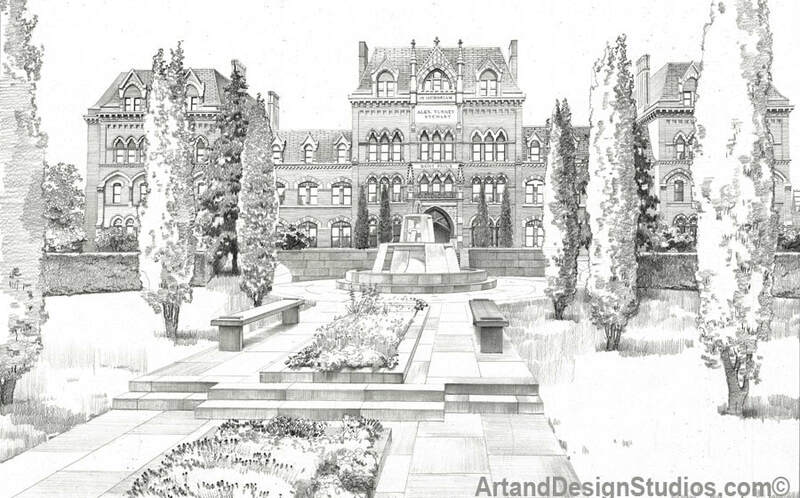 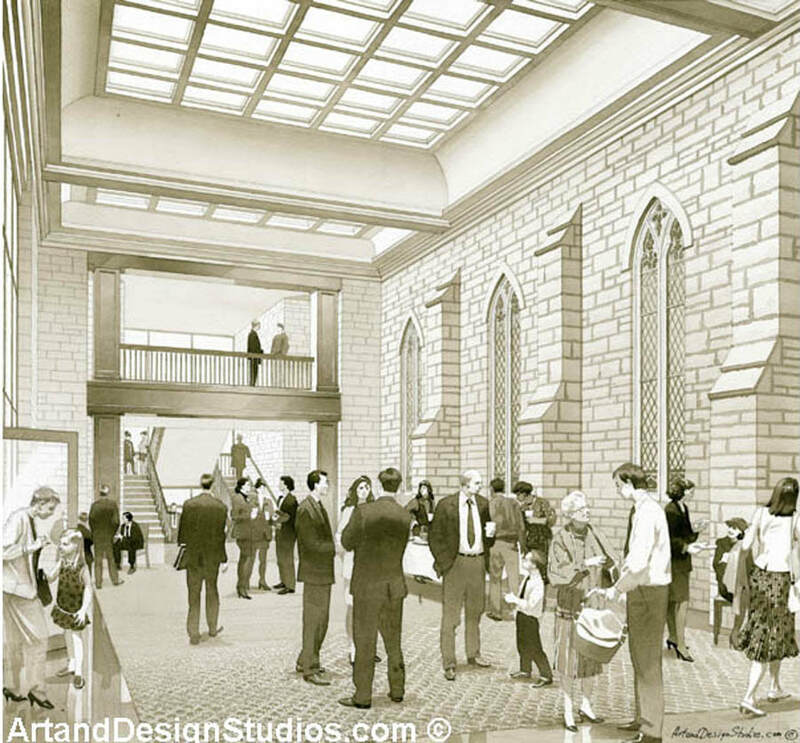 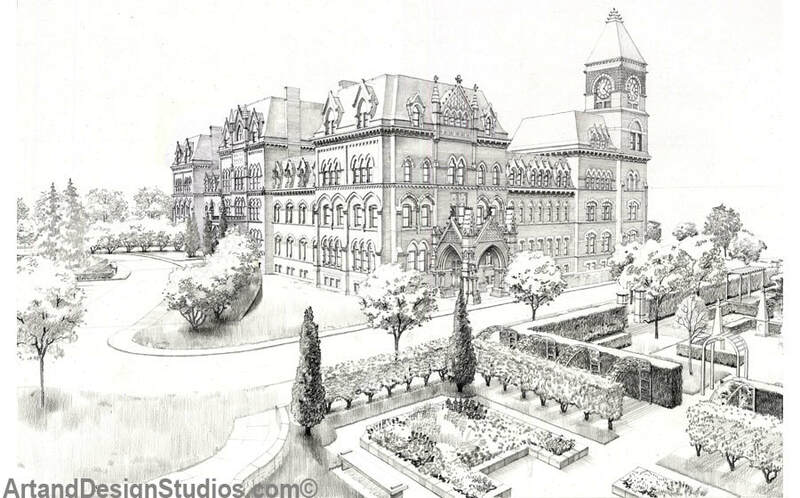 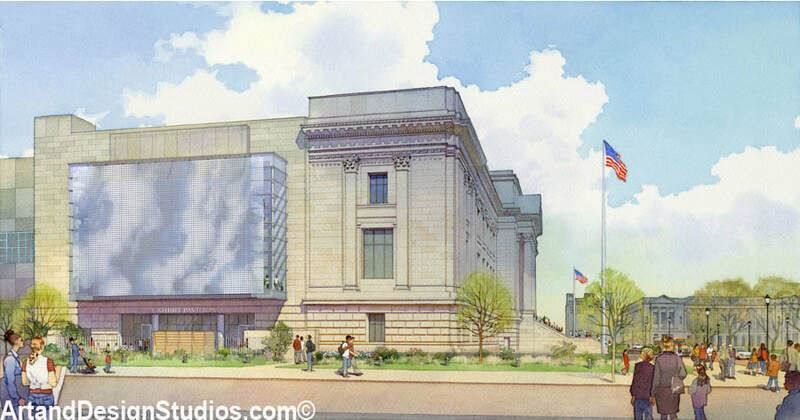 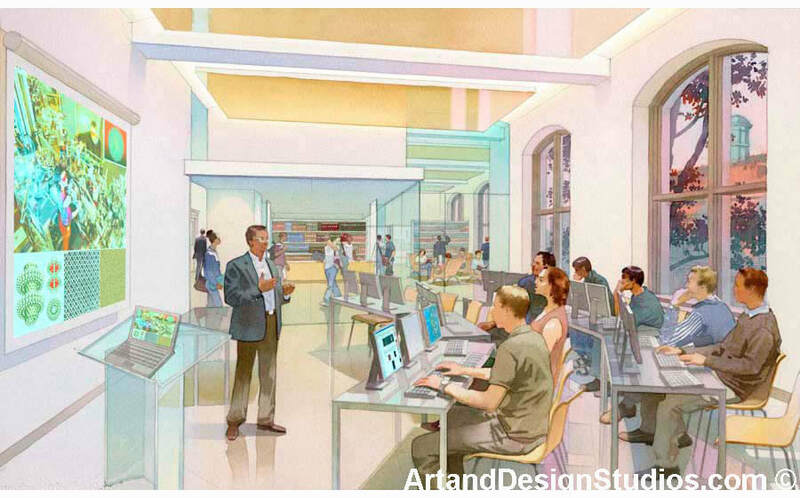 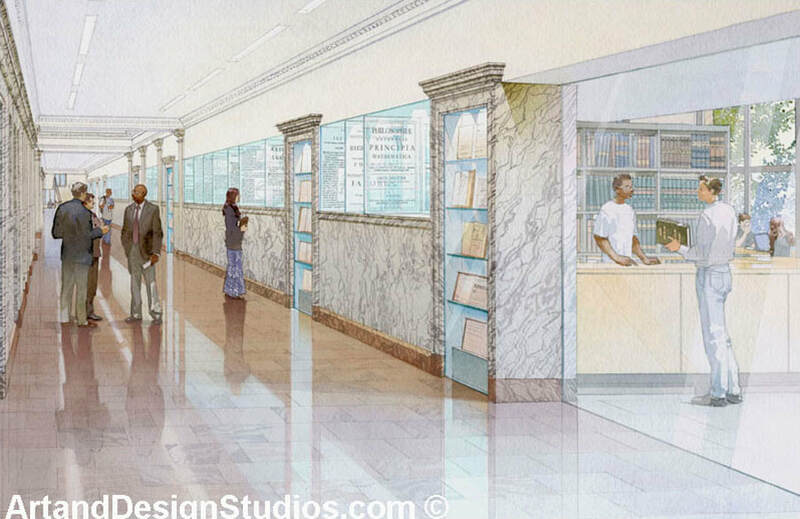 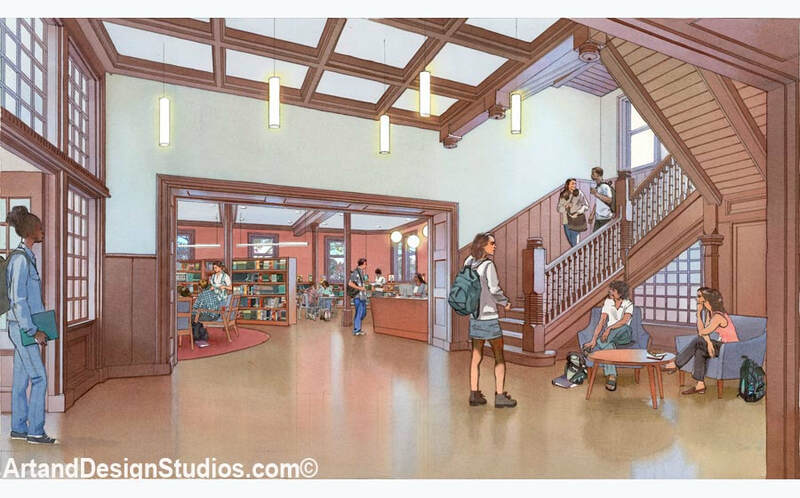 Rendering of adaptive reuse project: upgrades to the University of Pennsylvania Engineering Library.